Sorry about my late update on my blog in the past few weeks. If you followed my FB or Instagram, you should know that me and Lik just got married! I was very busy with all the preparation till no time to come up here. It's a very long and tiring process, but I believe all these will be our best memory after all. I will share my wedding posts later once my right mood kick me off! And for today, I would want to share another great place for great food with you all. 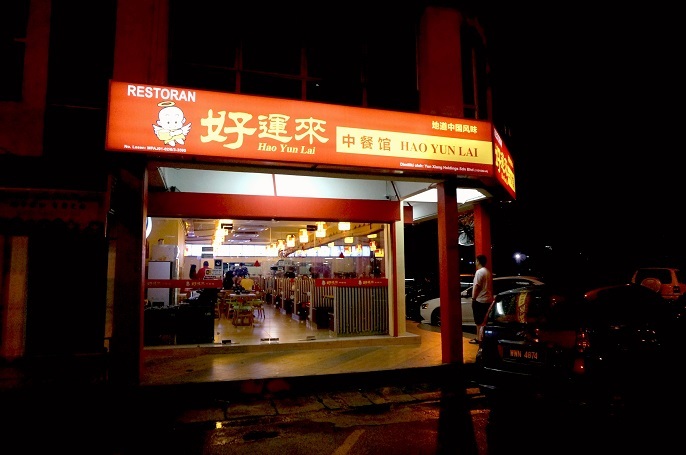 Hao Yun Lai 好运来, located at Pandan Indah, Cheras. It is not difficult to get the location if you go with Waze by key-ing Jalan Perubatan 2. 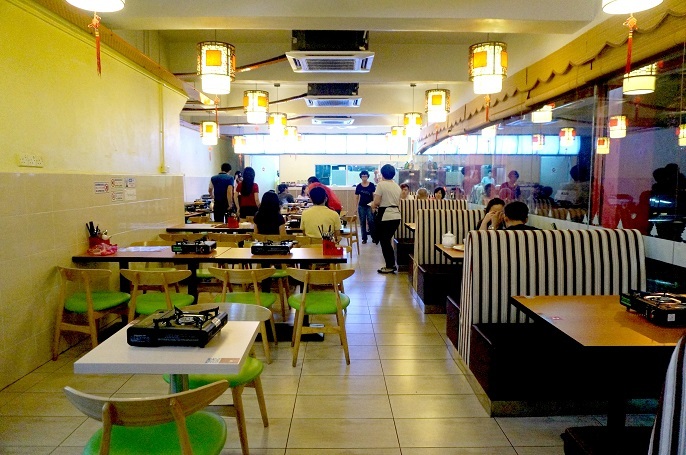 The restaurant is at the same row with Sushi Mentai and Hometown Steamboat. What makes me miss China the most whenever I traveled there is their authentic Chinese food, especially the SzeChuan and Hunan cuisines. It is not easy to get the same tastes and flavours in Malaysia unless you go for the original authentic Chinese food from China. 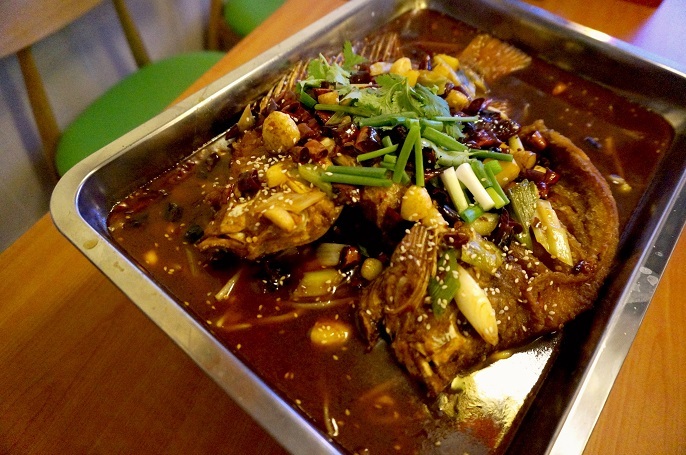 It's glad to discover Hao Yun Lai, a new restaurant which operated by the owners from ShanXi Province in China. It has just started half year ago, but I can see it already generated many supporters. 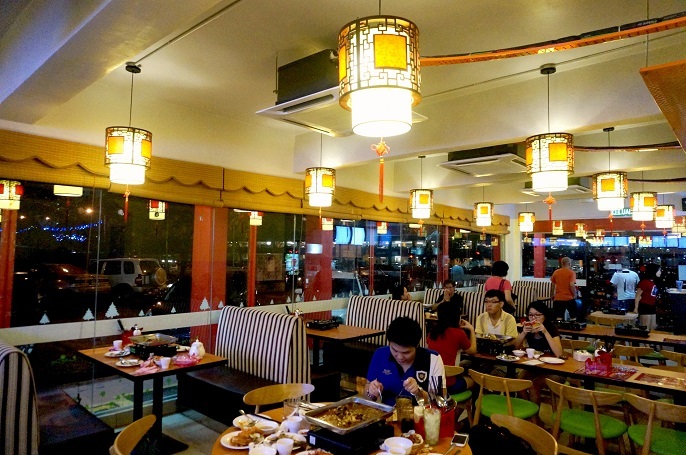 The restaurant is not fancy; it's just a simple restaurant like the other Chinese restaurants. The interior is very simple with some basic furniture. 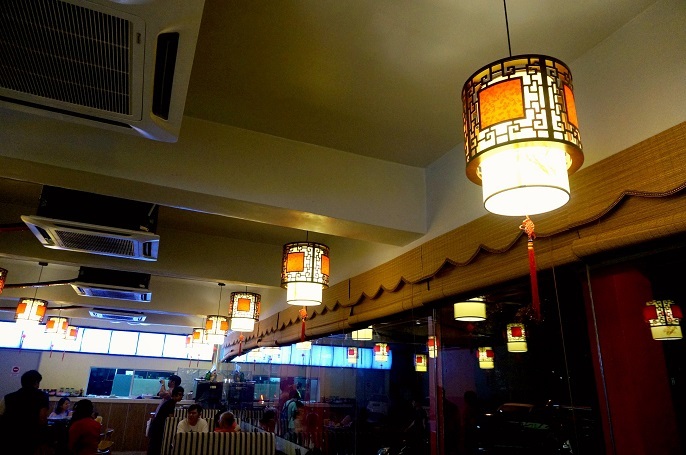 Yet, the manager said that most of the adornments are imported from China, such as the special designed lamps that hanging on the ceiling. For the starter, you may try their Fried Baked Small Pancake @ RM6 to kick start your appetite. 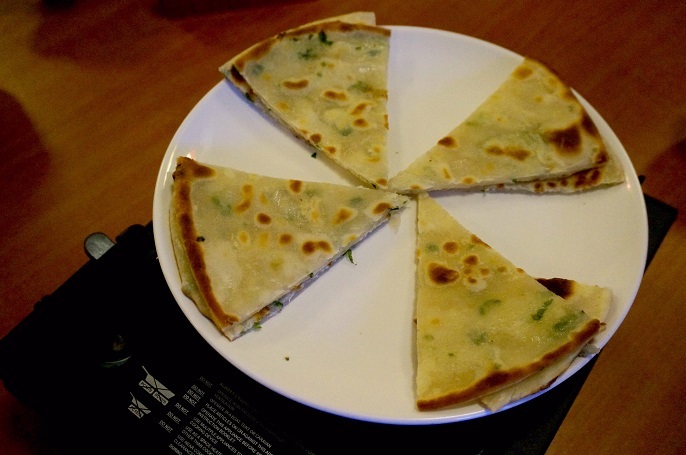 The taste and the texture are like our Indian Roti Canai, yet it is filled with some green onions. 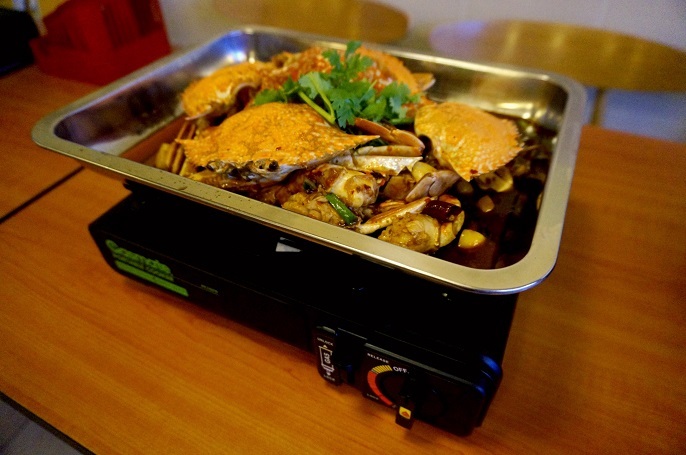 Hao Yun Lai's specialties are their hotpot dishes. 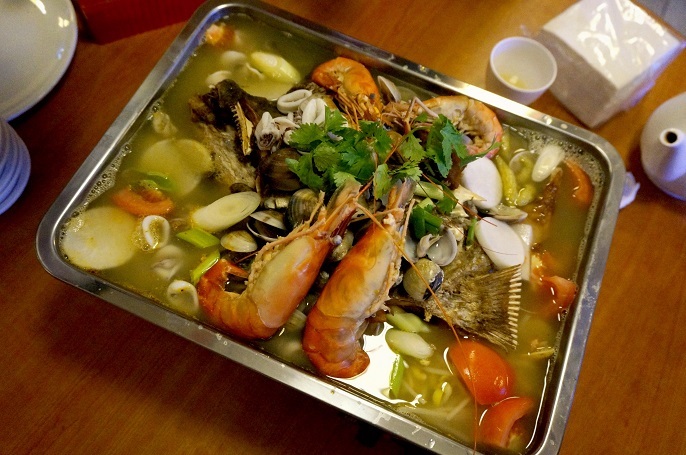 The most signature one is the Seafood Platter with Fish Heads @ RM98. 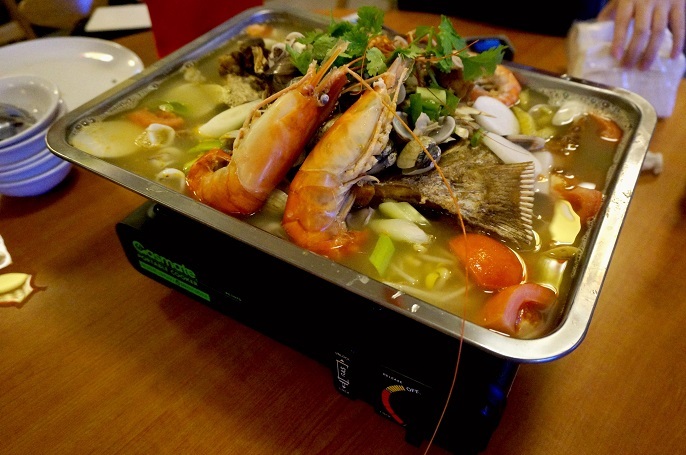 They have another same platter which only serve with seafood, Seafood Platter @ RM88. 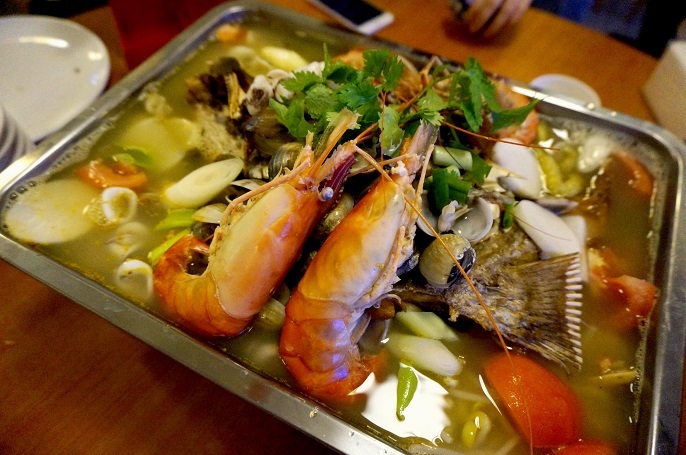 A big platter like this includes all kinds of seafood such as big prawns, squids, clams, fish heads, and so on. The portion is very big which is good enough for 5-6 pax. I enjoy this platter so much because of it‘s hot and sour soup. It's so so great and appetizing! 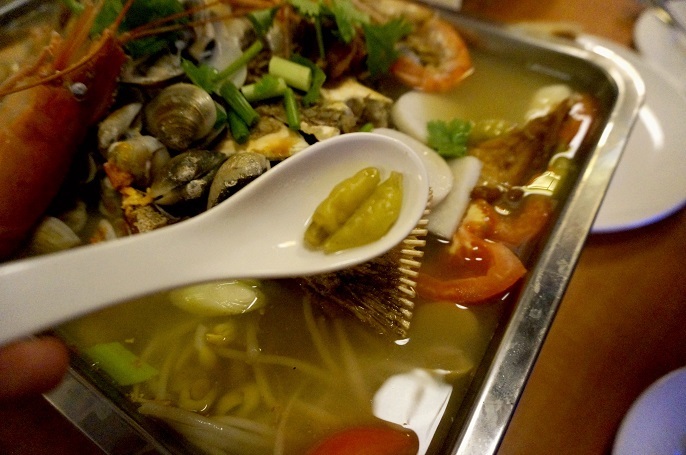 The main ingredients to use for the hot and sour soup is their homemade pickles which include radishes and green chilies. For the level of spice, you can work your way up to tolerate or even enjoy spicy foods as their spice levels extend from 1 - 4 levels which #1 no spicy, #2 mild, #3 medium, and #4 spicy. I would suggest you to order the mild one and then you can add the chili flakes to some appropriate level after you try the food. 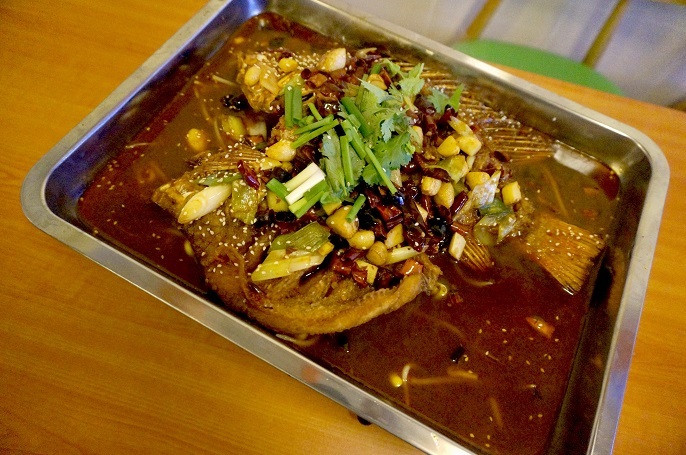 If you like fish or fish heads like I do, then you must order their ChongQing Grilled Talapia Fish @ RM48. A platter like this includes at least 2 big grilled Talapia fishes. 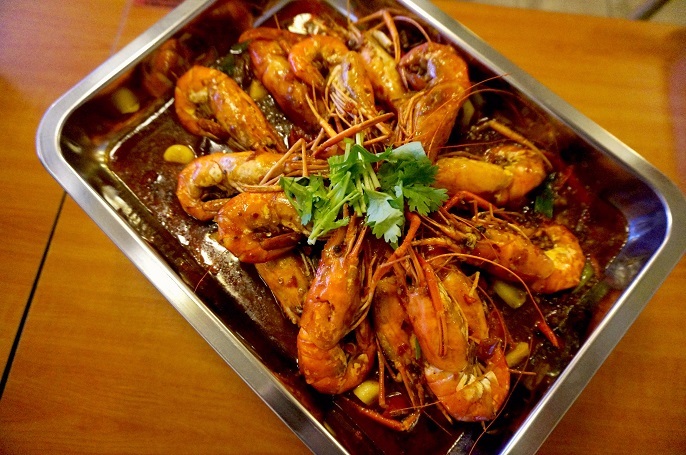 It's a spicy dish which prepared with their homemade spices and herbs. 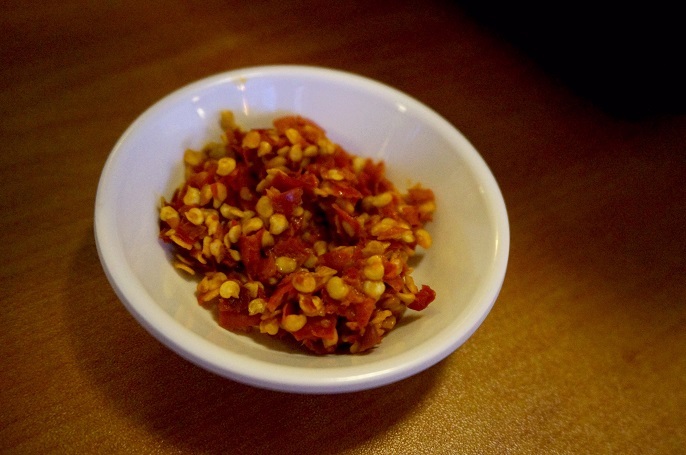 Although I enjoy spicy food a lot, but I think this is way too spicy for me. Well, no worries that you can adjust the spicy level according to your own interest. Next, the Szechuan Spicy Crab @ RM88. 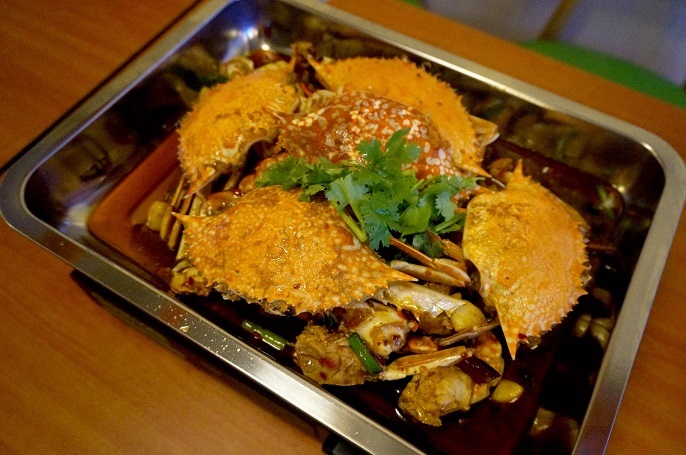 I love SzeChuan cuisines very much, and this spicy crab is what I want for my SzeChuan appetite! 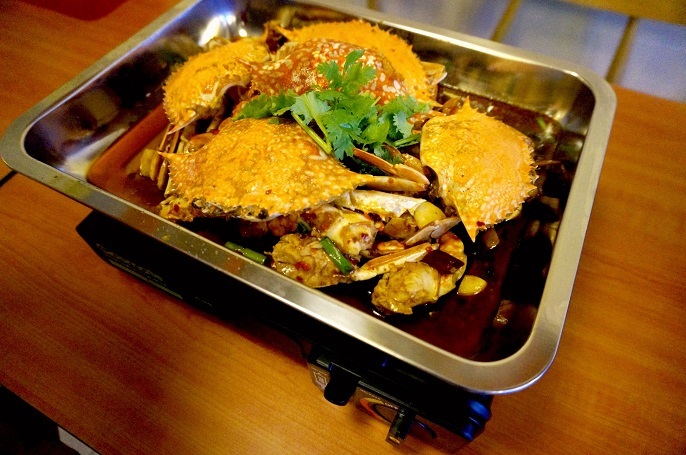 For me, fresh crabs should be soft and delicate, with a smooth texture, and these crabs include everything! It literally melts in my mouth on my first bite! 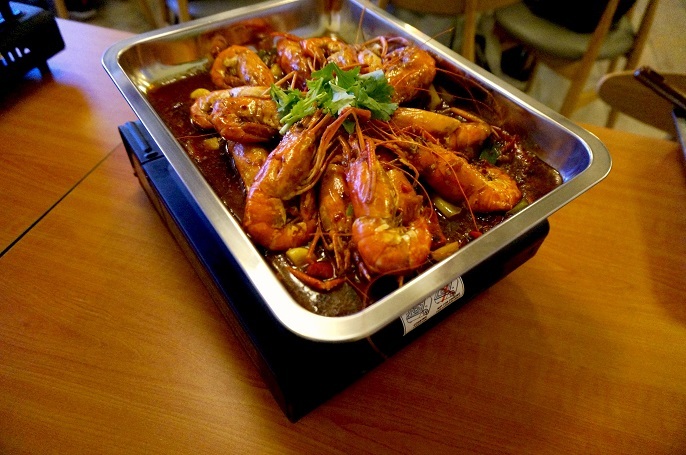 SzeChuan Spicy Prawn @ RM98. 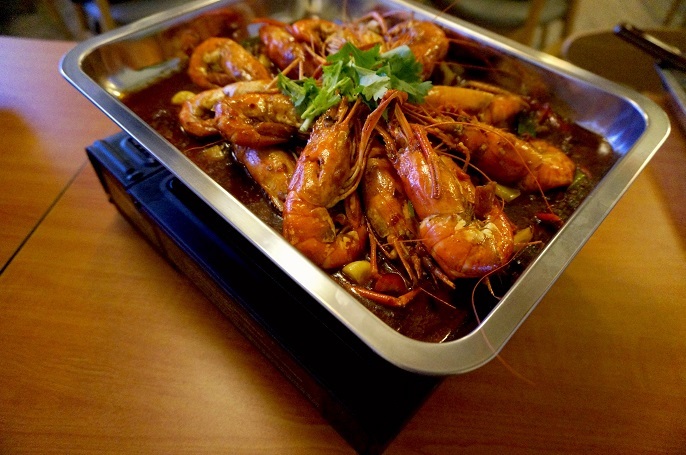 The prawns prepared with chili sauce, garlic and their homemade herbs. It tastes unique and I think this is a taste that you will not find anywhere. 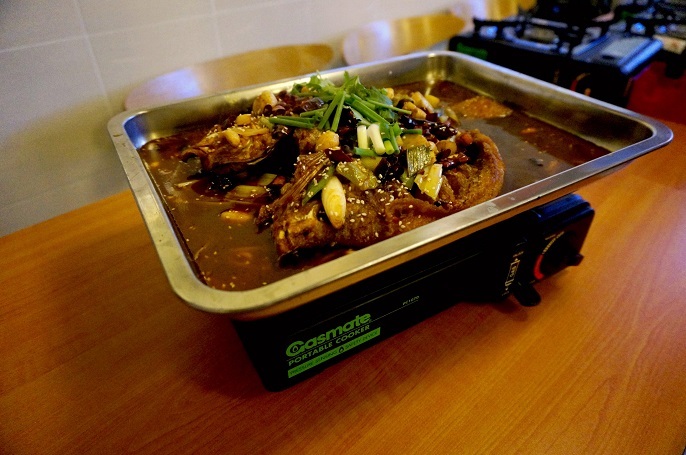 The good thing about Hao Yun Lai is all dishes are serve on the hotpots, which helps to keep food warm all time. So, you no need to worry about the food getting cold. 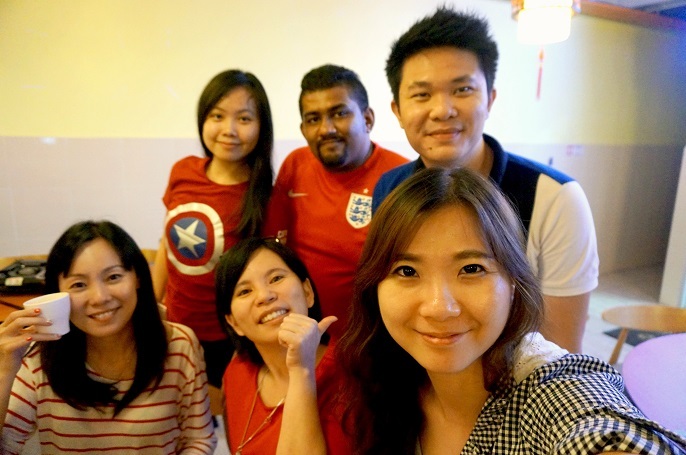 For those who spend more than RM100 at Hao Yun Lai, you will get free Chinese tea. And, if you order a platter of fish, you will get free side dishes like the picture. 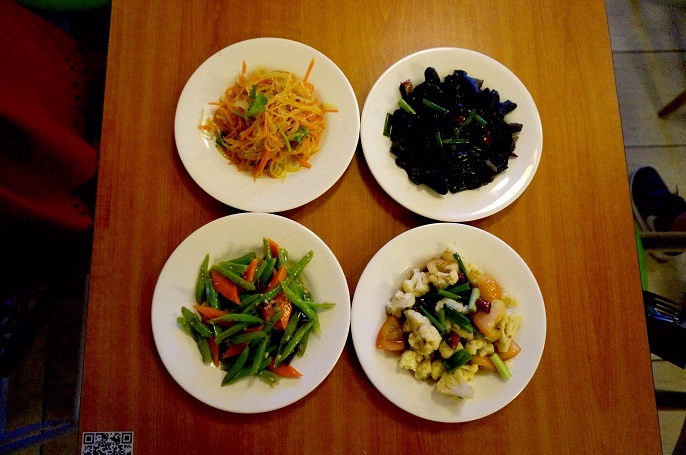 All side dishes are good, but I personally love the black fungus salad a lot! It's so tasty and refreshing! 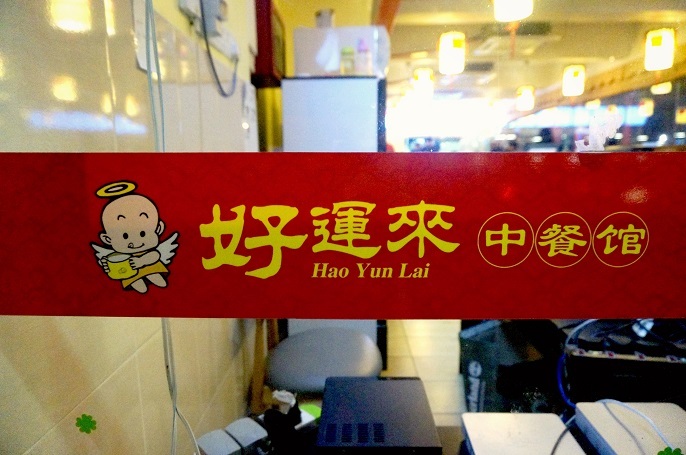 If you love Chinese food but getting bored with the standard Cantonese styles and tastes, give a try at Hao Yun Lai! Everyone of us enjoyed the food on that night, and I believe you will have the same enjoyment like us after you have your try.